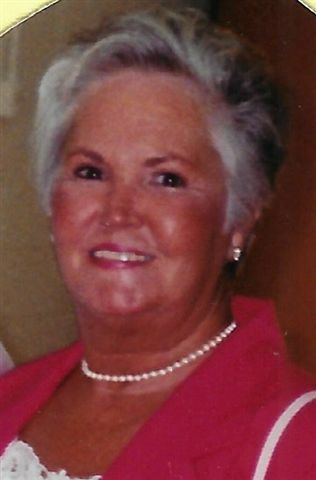 Amey Catherine "Kathy" Harris, age 83 of Kingswood, KY died Friday, 4-5-2019 at her residence. She was born in Charlestown, IN on October 3, 1935, the daughter of the late James Harlan Webb and Ollie Belle West Webb. Kathy loved her church and was a member of Hillcrest Baptist Church and the Disabled American Veterans Auxiliary. During her life she had many occupations which include Louisville Bedding Company, a nurses aid at Norton Infirmary, Leitchifeld Sewing Factory, the Triangle Restaurant in Clarkson, KY and an Optometric Assistant for her husband Dr. Layton Harris. Kathy loved visiting her family, singing, dancing, Gospel music, shopping and the board game Aggravation. In addition to her parents, she was preceded in death by her husbands Dr. Layton Harris and James Rose, great great grandson Joshua Dew and siblings Jane Carman, Ella Ann Webb, Marie Anderson, Robert Webb, Tom Webb, James Webb and Hilbert Webb. Funeral services will be held at Hillcrest Baptist Church in Kingswood, KY on Tuesday, April 9, 2019 at 12 PM with Bro. Bob Walton officiating. Burial will be in Hillcrest Haven. Visitation will be held at the church beginning at 10:30 AM. Expressions of sympathy are suggested to Hillcrest Baptist Church.